What is this frame telling you? Beekeeping clubs, small and large, will be giving their Master Beekeeper exams during the next few months. Scheduling and giving the written parts pose few problems. However a Field Exam does need to be a part of all levels of Master Beekeeper exams, from the lowest level to the topmost one. Planning and giving this part does have a few problems. Composing the Field Exam is a bit difficult; being the examiner and grading the exam is difficult also. Those giving the written parts have something on paper, written by the candidate and is easier to grade – a set number of points, the answer is really wrong, really right, or partially. Something similar can be done with the Field Exam but it will be the examiner asking the questions, possibly recording the answers and assigning points. Also colonies can present difficulties that are not the candidate’s fault. Two local associations, the East Cupcake Beekeepers Association and the West Gumshoe one have combined their tests and their testers. These associations found combining made it much easier to obtain enough proficient beekeepers to develop and administer the tests. You and one other have volunteered to set up and give the Field Exams. It will take some time to plan the exams. Some associations have three levels of proficiency, others have four. How many will be taking the Field Exams at each level? When is an appropriate month? Whose hives are going to be used? So many questions! Where to start planning? Coordination with the exam organizers is essential. The Field examiners need to know how many will be taking the Field Exam and on what level. These numbers help in deciding where the exam will be given and also for scheduling days and times. If too many have signed up for the lowest level of the exams another one or two examiners could be recruited. However all examiners must be asking the same questions and grading the answers in the same way. Before giving any results to the candidates and passing on results to the organizer have a conference to resolve any problems or questions. Today consideration must be given to hives other than Langstroth. The top bar hive is now being used by both beginning beekeepers and those more advanced. However, someone wishing to have high honey production will be using Langstroth hives. The Warré hive is used by some, but not in such large numbers as top bar hives. Examiners not familiar with top bar or other styles may wish to find some volunteers to give those exams, Perhaps a beekeeper who has passed two levels of the exams could be recruited. Let’s start with when to give a Field Exam. This is the time to review your bee season, longer in the south, such as Alabama, but shorter in the north, such as Wisconsin. When is your main nectar flow? It’s not fun taking off four heavy honey supers to get down to the brood boxes. 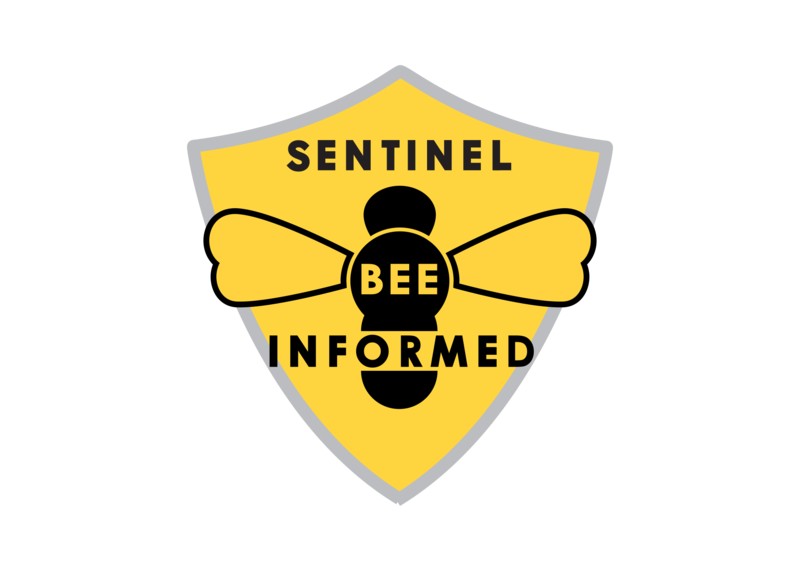 Do you have a dearth month when bees are hostile and robbing could be a problem with an open hive? You can find a suitable time but let the candidate know if a rainy day will require rescheduling. You will need to consider a weekend day for candidates, and perhaps yourself, who work during the week. Where will the Field Exams be given? A few local associations have a beeyard. If so, then these hives could be used. The examiners could volunteer some of their hives for exams. But where are these – miles away from anyone? In a very urban place where opening hives must take the neighbors into consideration? Perhaps some beekeepers of the clubs will volunteer their apiary. However the examiners should do a pre-exam visit to be familiar with the hives and the bees. Another solution could be the best, one that is used in the UK – the candidates’ own hives. The only problem with examiner going to candidate’s apiary would be distance of driving. The questions the examiner will be asking do not necessarily depend on special colonies, ones crafted for special situations or certain questions. Those examiners who are creating the Field Exam can do a trial exam using each other as examiner and candidate. Such a trial can be useful in determining the length of time the Field Exam would take. Since the hives used for exams belong to beekeepers, whether the examiners’, candidate’s or a club member’s hives, stress on the colonies needs to be kept minimal. Make certain a replacement queen is available in case a queen is killed during the exam. 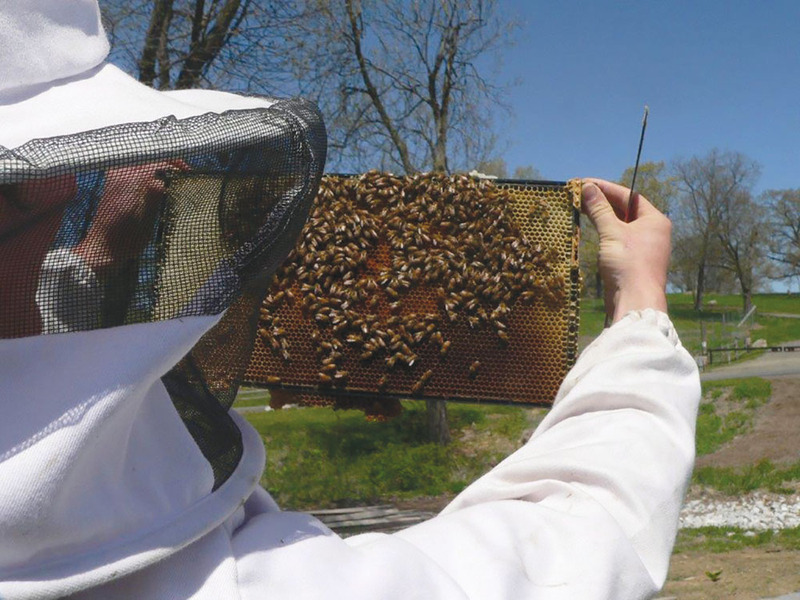 Keep club members happy when they offer their hives for Field Exams. Unfortunately in some areas of the U.S. the small hive beetle thrives on examination of a hive. The propolis prisons are broken and shb population increases. Therefore, some (even including the examiner) may be reluctant to offer hives for exams. The Field examiners need to discuss shb problems with those giving the other exams. Beekeepers living in and keeping bees in Africanized bee areas also need consideration. These bees are very unpredictable in their behavior – quiet one minute and mobbing anyone nearby the next minute or even absconding when disturbed. These two topics, shb and AHB, can generate exam questions. Give each candidate a short list of what to bring to the exam. A veil is essential even if the candidate never wears one at home. It is certainly permitted to wear a jacket or coveralls. Gloves are a problem. Some wear them to keep fingers from getting sticky with honey and propolis. Perhaps it would be wise to ask the candidate to use a new pair of household gloves instead of gummed-up leather ones. Hive tools come in various styles and lengths. Yes, candidates can use their own favorite one but it must be brought completely clean, no gummy wax or propolis. The candidates will be happier with their own smoker but ask then to clean the back board of the bellows. Candidates can certainly bring their own smoker fuel and lighter. You want the candidate to be comfortable. Except for the first level exam, lighting a smoker does not need to be one of the questions. What sorts of colonies are needed for Field Exams? Ordinary colonies will definitely work. Many good questions can be made with ordinary colonies. However, a disease such as American foulbrood is probably best done with a sterilized frame in the Lab Exam. A disease, such as European foulbrood or chalkbrood generally appears briefly in spring and disappears. Pests such as Varroa and small hive beetle are so common that they could be on the Field Exam. Some frames, such as one with too many drone cells could be saved from year to year. Such a frame can be slipped into a hive a few weeks or so before exam time and pulled later to be stored for next year’s exam. The First Level exam should cover packing and lighting a smoker, smoking a hive, opening, doing a simple exam of the colony and frames, and closing and putting out smoker. Your question could be – before any actions including lighting smoker – does this colony have a queen and how will we know? The examiner could be asking questions while the candidate is doing the work or the candidate could be asked to explain each step. You now have a number of items to grade: putting enough fuel in smoker to last longer than two minutes, amount of smoke puffed into hive at first and during inspection, quietness and ease of removing and replacing tops, selection and removal of frames, how to tell if queenright, replacing frames, tops back on, and finally putting smoker out. You can certainly add questions to this level. One could be to explain the choice of placement of hive (exposure, ease of work, winter protection). Don’t be afraid of turning a problem into a question. For example, a hive is opened and the usually calm, nice colony is having a very ‘bad day’ and boils out with stinging on its mind. At the first level of the exam it might be best to step in and close up the hive. At one of the higher levels of the exam ask the candidate what should be done – and then do it. There is always another hive to use for other questions. Of course you will have to explain to the other field examiners what happened and discuss any grading or perhaps extra credit allowances. Each level of the Master Beekeeper exam will require more questions, more detail, and a longer time than the next lower level. However, examiners should set themselves a time limit for the selected exam hive to be open. Sitting open with frames being waved around is stress on a colony. If several candidates have signed up for one of the upper levels it might be best to have selected more than one hive to be opened. In order to save time for the upper level Field Exams, the smoker could already be lit and ready to use. At the upper levels the emphasis should be on the colony within the hive. Of course if an upper level candidate overly smokes the colony, does strange things with frames, upsets the colony with rough handling then points could be subtracted. At all levels of the exam points should be assigned for overall assessment of colony handling. Are the candidates able to keep control of the colony, exhibit calm but efficient removal and replacement of frames, and keeping track of the orientation of frames that were removed and set aside? Other items, not exactly questions, could be graded. What is the condition of the hives? Rotten places, holes and other damage, condition of beeyard – overgrown with grass and weeds or full of broken equipment – could be part of a Field Exam. If a hive has ancient comb, damaged comb or wild comb make these problems and their solutions a part of Field Exams. Questions for the upper levels do not necessarily have to be a series of yes/no types but rather a project type of question. For example a question could be asked of the candidate before even opening the hive – you hope to split this colony to increase the number of colonies you have. Please determine, at this time of year, whether this colony is a good choice and why you chose to split or not to split. Describe how you would make the split. In order to determine a grade for such a question the examiner would have made a set of possible answers and points to be awarded. The candidate would have to open the hive, pull out frames, evaluate the population and the queen’s brood pattern and also fit the answer to the time of year. When all the exams (Written, Lab, Field) are over for the season have a meeting of all those involved with the exams. What went well? What didn’t? Were the questions appropriate for the level? How about the candidates – did they seem comfortable with the way the exams were prepared, given and scored? Immediately after exam time is the best time to plan for next year’s exams. Be certain to thank all those who volunteered their hives for the Field Exams. You will need their help next year. 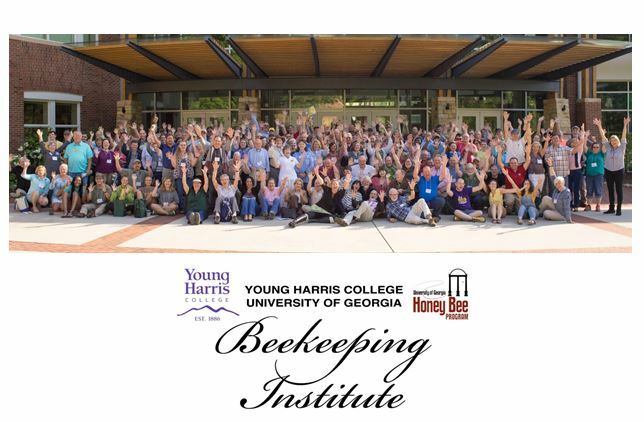 Ann Harman has been teaching beekeepers and giving field exams for many years. She keeps her bees, cats, dogs and horses in Flint Hill, Virginia.